I attended a church get together a few months ago and a friend (I didn't know this person then but anyone who cooks this good is my immediate bff!) was heating these wonderful beans on an outdoor grill. 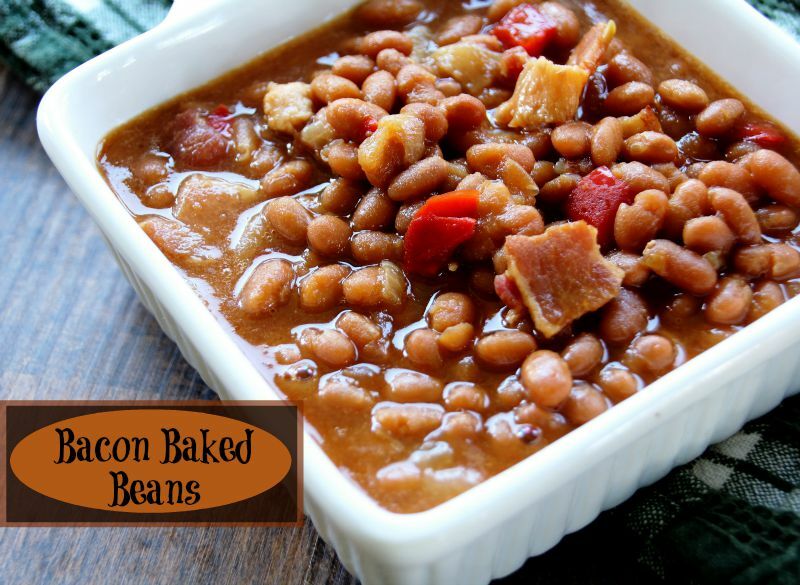 Although they are simple and easy to make the chunks of bacon and peppers really make this something special! Here's the recipe! Cut bacon slices into 1 inches pieces and fry until almost crisp. Remove bacon and saute onion and green pepper in bacon drippings until tender. Add bacon back into pan. Add both cans of beans and combine well. Place all ingredients into an 8 x 11 1/2 pan. Bake at 350 degrees for about 20 minutes or until heated through. 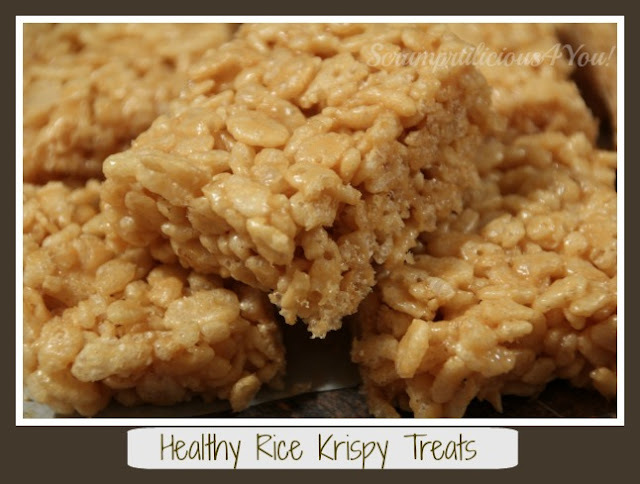 These peanut butter, honey rice treats are healthy! They are really really healthy! I think I deserve a pat on the back for this one. I have to be the first to admit that when I make treats "healthy" isn't always my first consideration. I needed to teach a women's group about some healthy treats they could make for their children this summer and so the search was on! What I loved about these treats is that they are simple to make and taste great. So what's not to love?? Do you have a great recipe you would share with me for a healthy treat? Please let me know I really need to have more to choose from! 2. Heat the honey, peanut butter, vanilla and salt in a pan over low heat until it all melts together. 3. Pour the rice cereal into a large bowl and pour the melted honey and peanut butter over it. Stir together. 4. Press into the baking pan HARD using either a rubber spatula or your hand with wax or parchment paper. 5. Let cool and cut into squares. 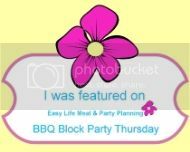 Shared with these fun sites! Chewy Granola Chip Bars - 5 Ingredients! I know I have been saying on many recipes that they are fast and easy, but it needs to be said again for these bars. With only 5 ingredients and a no bake recipe you know they have to be quick! They are especially easy to make because you can buy granola (in any degree of healthy you desire) and just add it to the mix, pour into a pan, cool and eat! This makes a great snack for kids who are home for the summer. Bring the butter, sugar, and honey in a pan to a boil and simmer over medium low heat about 2 minutes. Add granola and rice cereal and stir until it is well coated. Press the mixture in a 11 x 7 inch parchment lined pan. 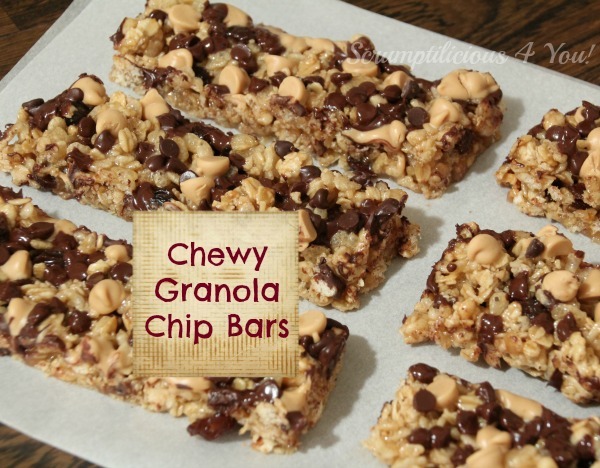 Sprinkle both flavors of chips over the granola bars and let mixture cool. Lift the bars out of the pan and cut into long granola bar shapes. Line an 11 x 7 baking pan with parchment and spray with cooking spray. Put 1st 3 ingredients in a pan and heat to boiling. Reduce heat and simmer until sugar is dissolved. About 2 minutes. Remove from heat. Add granola and rice cereal and stir until coated. Spread the mixture into the pan and press into the corners. Let cool and then lift from pan and cut into bars. Place in fridge if they are too soft to stick together.